Common sense isn't as common as you might think. We all know people who are off-the-charts smart, but lack the basic understanding of how to get along in the world. They can solve the most complex scientific problems, but have trouble navigating the self-serve checkout at the grocery store. I don't personally know any of the five people who sit on the board of FERC - the Federal Energy Regulatory Commission. I imagine they probably scored well on their high school SATs, attained advanced degrees from prestigious institutions and are respected by their peers. They may have authored peer-reviewed papers or written books about oil exploration or gas development or pipeline infrastructure. I accept that they're probably smart. But I'm guessing they may have trouble at the self-serve checkout. It doesn't take an advanced degree to understand that installing a giant, high-pressure natural gas pipeline right next to a nuclear power plant isn't a smart thing to do. But when Spectra Energy proposed installing a new gas line right next to the Indian Point nuclear power plant that sits just above New York City on the Hudson River, the Commissioners at FERC agreed. Even a third-grader can tell you what would happen in the event of an accident at a nuclear power plant. After all, any third grader can say "ka-boom," though they may not fully comprehend the horrific devastation that an accident at Indian Point would have on New York City, just 50 miles away. Or the rest of the metropolitan area, including most of Long Island, Westchester County, and Southwest Connecticut. Part of the problem is that all the nuclear waste ever produced at Indian Point is still there, right on the same property with the power plant. 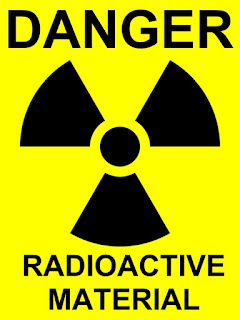 So a major accident at the plant would not only release radiation from the plant, but possibly from the stored nuclear waste as well. When common sense eludes our elected and appointed officials charged with protecting our health and safety, ordinary citizens need to stand up and say so. This is one of those times. If you have enough common sense to know this is a bad idea, please join the thousands of people who are banding together to oppose the Spectra pipeline. Watch the movie, tell your friends, and make the phone calls.